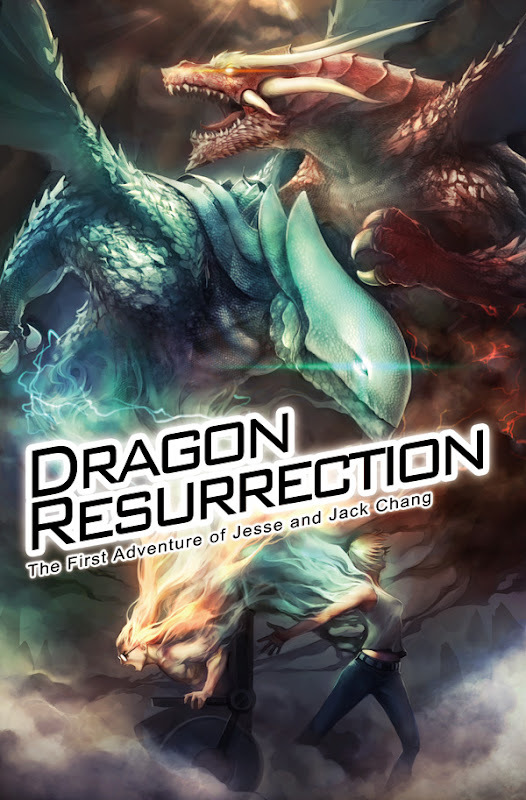 At San Diego Comic-Con this past weekend, Dark Horse announced it would publish the first book in the exciting new multimedia franchise from DeZerlin Media: Dragon Resurrection! Following the discovery of the remains of a dragon in the mountains of Tibet, adventurer Jesse Chang sends a DNA sample back to his twin brother, geneticist Jack. However,when a rogue American general learns of the discovery, he sets in motion a global pursuit to seize and control the technology for his own shocking ends. Now these twin siblings must synthesize the dragon’s DNA, creating a new generation of living, breathing dragons, in order to take on a tyrant bent on building his own personal kingdom. A dynamic cross between Jurassic Park and Mission: Impossible, Dragon Resurrection represents the first-ever Chinese superheroes to be seen in the mainstream international markets. This dynamic new graphic novel from Dark Horse represents the first release of a franchise that will produce books, games, and other merchandise, leading up to a major motion picture. Click here to read an exclusive 25-page digital preview! Head over to MTVGeek to read an exclusive interview with writer/producer Mark Byers! Look for Dragon Resurrection from DarkHorse in the summer of 2013!